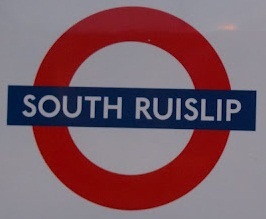 South Ruislip - see Ruislip. The station was opened on 21 November 1948. The station on the adjacent main line was opened by the Great Western & Great Central Joint Committee as NORTHOLT JUNCTION on 1 May 1908. It was re-named SOUTH RUISLIP&NORTHOLT JUNCTION on 12 September 1932, and became SOUTH RUISLIP on 30 June 1947.